Happy Monday Everyone! Hope you're having a great day. It's gorgeous here--mid 70's--so it's hard not to be great. Had a nice quiet weekend getting a lot done with some time with friends. 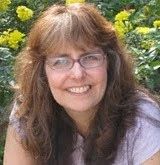 Carol Riggs just signed a contract with Entangled Teens for her YA sci-fi debut THE BODY INSTITUTE to be published in Fall, 2015. 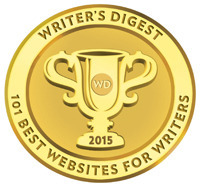 Also here's a great link to a post by Angela Ackermann at Writer's Helping Writer's blog on 5 Steps To Find Your Book Audience. I'm bookmarking it for future reference. The winner of TUT is Akossiwa! And the winner of the Stuck In A Good Book giveaway is Janhvi who chose the $10 Amazon Gift Card! Congrats! E-mail me your address so I have get you your prize. Please e-mail me by the end of Wednesday or I'll have to pick another winner. 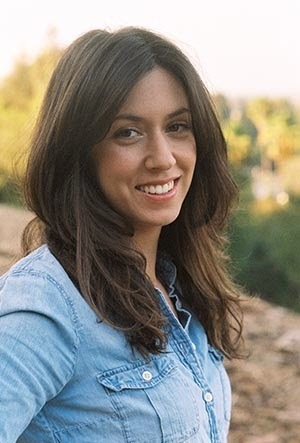 Today I’m thrilled to have debut author Elissa Sussman here to share about her YA fairytale retelling STRAY. I loved the whole idea of the fairy godmothers and the way the world building explores the role of women, which was dark but very interesting. Hi Elissa! Thanks so much for joining us. Like most other writers, I was a kid with a big imagination and an even bigger appetite for books. When I was eleven or twelve, I read THE DIARY OF ANNE FRANK, which inspired me to start keeping a journal. It also was the first time that I truly understood that a writer was a person – that people wrote books. And so I wrote. Hannukah plays and terrible poetry and romantic novellas and gritty short stories. I wrote and wrote and wrote and a few years ago, I had the idea for what eventually became STRAY. 2. I read this about the same age too. I found it incredibly inspiring, but didn’t start journaling. Where did you get the idea for STRAY? I owe it all to a feminist history course and Disney’s CINDERELLA! Being the animation nerd that I am, I had chosen to write my thesis on the representation of women in animated movies, so I was re-watching some of my favorite films with a much more critical eye. For the first time, I realized how the most powerful person in the film – the fairy godmother – is portrayed as a rather silly, incompetent character. The wheels just started spinning from there. 3. That sounds like an awesome thesis. And what fun research you got to do. You take the concept of fairy godmother in a totally different direction tied into women’s role in following the Path. I found it a frightening but fascinating world with such definite roles for women. Share about your world building process and how you tell a fairy tale retelling in a very different fashion than some books out there. Thank you! I love that you call the world “frightening, but fascinating” because that’s how I feel about most of the fairy tales I really love. There’s a delicious darkness to older versions of stories that I wanted to be present in Aislynn’s world. But I always wanted to redefine those fairy tales, to twist them into something familiar and modern. Because the Path, with all of its awful misogyny, is based on a mentality that is still very present in our society today, especially in the way we treat teen girls. 4. We sometimes forget the dark parts of these stories if just watching the Disney versions. I always love when fairy tales are twisted like STRAY. One of the things I really enjoyed about STRAY was the diversity. But I read that it didn’t start out that way. Share what made you change STRAY in the revision process so dramatically. especially in fairy tale-based fantasy, there’s this belief that if you’re basing a story off of a largely European-style fairy tale (as I did with STRAY) that you should maintain some sort of “historical accuracy”. Of course, it’s totally fine to add magic and fairy godmothers, but people of color? Well, that’s just too unbelievable. And because it’s such a prevalent assumption, it doesn’t always get challenged as much as it should. Well, when I was writing STRAY, it was being challenged through the BBC’s MERLIN. There were a lot of smart people saying a lot of smart things about how silly it is that we have have dragons in fantasy, but no people of color. And I realized that I was doing exactly that and had no excuse to continue it. 5. That is one of my favorite parts of MERLIN. Sad the series was cancelled. I know you worked in the movie industry, including on Tangled and The Princess and the Frog. How has this influenced how you write and how you revise? It’s mainly influenced how I schedule myself, actually. I worked in production management, which is a nice way of saying I got to boss a lot of people around to make sure they made their deadlines. As a chronic procrastinator in my personal, creative life, I learned how to harness my management skills in order to focus and complete my own projects. Most of the time. 6. I read that you had some influence on the creation of your very awesome cover. How cool! Share a bit about how your cover was designed and your influence in creating it. I owe my cover to pinterest and the amazing artist, Melissa Nucera (aka ThisYearsGirl on etsy). As an avid pinner, I had created a STRAY inspiration board and her piece “The Queen” was a pretty big part of it. When the awesome folks at Greenwillow asked if I had any ideas for the cover, I immediately sent them Melissa’s piece. They loved it, contacted her and the rest is history. Lucky me! 7. Yes, that’s extremely luckly. Your agent is Samantha Shea. How did she become your agent and what was your road to publication like? 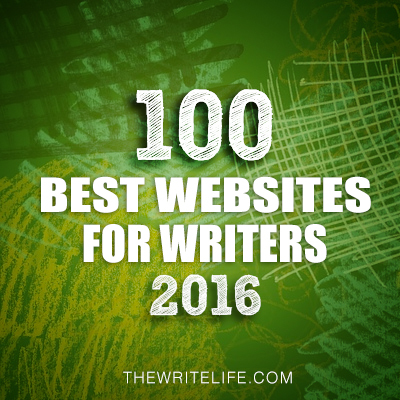 I took a very traditional road to both getting an agent and getting published. Once I had a version of STRAY that I was confident in, I started researching agents and the querying process. There are so many wonderful online resources, including QueryTracker, which I especially love because of its built-in spreadsheet (I love spreadsheets). Samantha was one of sixty agents that I queried over the process of five months and I absolutely adore her. Once she took me on as a client, we spent another several months polishing the manuscript and then she sent it out on submission. It sold to Greenwillow Books a few months later. 8. 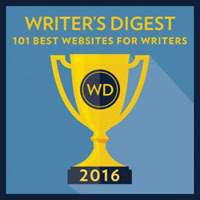 How are you planning to market your book? Has your experience in the film industry affected at all your plans to spread the word about your book? I have an amazing publicist and wonderful support from HarperCollins. Keep your eyes out for some fun videos and interviews in the weeks around STRAY’s release. And if you’re in the Los Angeles area, you can come to the launch party and reading at Skylight Book in Los Feliz on October 12th at 5pm. 9. Wish I lived there. I’d come for sure. What are you working on now? Currently I’m working on the follow up to STRAY, titled BURN. Set in the same world, it will follow a new pair of characters (one of whom is introduced at the end of STRAY). But don’t worry, we’re not leaving Aislynn and her friends behind just yet. 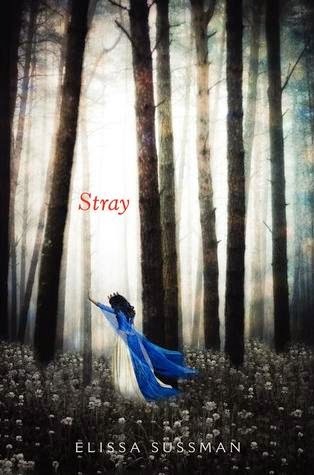 Elissa has generously offered a copy of STRAY for a giveaway. To enter, all you need to do is be a follower (just click the follow button if you’re not a follower) and leave a comment through October 11th. I’ll announce the winner on October 13th. If your e-mail is not on your Google Profile, please leave it in the comments. Next Monday I have a guest post by long time follower C. Lee McKenzie and a giveaway of her YA contemporary DOUBLE NEGATIVE. Next Wednesday I'm giving away a number of recently released Harper Collins middle grade books that I know many of you would enjoy. And the Monday after that I have a guest post by another long time follower and debut author Kim Van Sickler and a giveaway of her YA contemporary SNACHED IN GULLYBROOK. I'm so happy for Carol--especially after the place who was going to publish her book went under. I'm glad she found a home for it! Stray sounds like my kind of book. I'm a big fan of the We Need Diverse Books campaign. Love the premise of this story. You know what I'm going to ask. Is this going to be an audiobook? Congrats! Stray sounds intelligent and imaginative. It's always interesting hearing authors describe what got them first hooked on reading and writing. Good luck Elissa with your debut. That's wonderful she got to choose her cover artist. I'm so intrigued!!!! When I first started writing fiction, I tried writing fairy tales and they weren't very good and then I tried writing two fairy tale novels, and they were okay, but not good enough, and nowhere near as dark as I wanted (my fault for listening to critiquers who didn't get what I was trying to do and I was green enough that I thought when people critiqued, the polite thing to do was incorporate their opinions into your work.) Congrats to Elissa for creating the kind of book I would have liked to write! It's nice to meet Elissa. It's great to hear about her journey. Wish her all the best. I'll pass on the giveaway. Have a good week! Most fairy tales were anything but cute stories that Disney made them. Fairy tales were some seriously scary worlds to live in when you analyze them. I can tell you, I'd have hated to live in the world of Sleeping Beauty. Like that she went for diversity in the book. And I'm a procrastinator as well. Congratulations, Elissa! Congratulations, Elissa! I am very interested on this new approach to the re-told fairy tale genre. Going to get this on my TBR list right away! Another great interview, thanks so much to both of you! Love this twist on old fairy tales, too! Thanks for that link at the top, Natalie, on finding your book's audience. Super helpful stuff! I am just loving the sound of this book. It's really hitting on all levels! This sounds like a wonderful story! I've added it to my TBR pile. Great interview - and the cover turned out beautifully! Congratulations to Elissa. I love your inspiration for Stray. The book sounds great! Love the inspiration for your book. Maybe I need to look at my animated fairy tale pet peeve more seriously!! Stray sounds excellent, I always enjoy authors who twist up these fairytales. Lovely interview, have a great week Natalie. Such a beautiful cover! I found it fascinating that this grew out of Elissa's thesis, and I loved what she said about including people of color. Congrats, Elissa and Carol! Thanks for another great interview, Natalie! This sounds like a lot of fun. Thanks for such an interesting interview. Thank you for your interview, Elissa. STRAY sounds like a wonderful retelling that I can't wait to get my hands on. Thank you for the interview and great giveaway! I always enjoy reading about an author's road to publication. Can't wait to read this book! Haha, I can completely sympathize with Elissa. I'm super organized at work, but I'm also a chronic procrastinator in my personal and, especially, creative life. Glad to see she found a schedule that worked for her and the book! Can't wait to read this book. Great concept! Congrats to Elissa on the new release!!! This book sounds awesome! Thanks for sharing! Love the cover! Excellent choice. Can't wait to read this book. Congratulations! The cover is amazing! And the story sounds great. I'm glad to hear people are still using the traditional road to getting an agent. Congratulations, Elissa- it's a winner! STRAY sounds wonderful - my kind of book! Sounds like a great book! I'll mention this giveaway in my blog newsletter. This sounds really great!!! Congrats Elissa! :) it's on my TBR list!!! Love to hear where authors get their inspiration! Thanks! I love the cover. I also love the darkness in fairy tales. Elissa, Thank you for sharing your story with us. Love the concept and cover. I will Tweet. I love Elissa's inspiration for the book, and the premise sounds fantastic. And the cover is really haunting. Congrats Elissa, your book sounds wonderful. The title is intriguing. I love the premise of the book. Thanks for taking the time to share so much of it with us.